Play SoundCloud to mp3 audio files in your own mobile app! iBuildApp team released a new feature to make it easier to play songs in your apps. Music-hosting service SoundCloud makes it easy to share your voice, music, or any other audio with a few clicks. It's great, but sometimes you're desperate to actually download and save a track from SoundCloud. This handy bookmarklet, courtesy of github user pheuter, adds a Download MP3 link to any track on SoundCloud. Copy the url of any SoundCloud audio you want to play in your mobile app. you can play and convert your audio files and we take care of everything. Its that easy! Our service is 100%, no limits, not caps. Enjoy soundcloud in your own mobile app by playing mp3 format files. iBuildApp is the leading, free online app builder where you can play and convert your own SoundCloud audio tracks. You can use any MP3 converter before inserting them to play in iBuildApp. 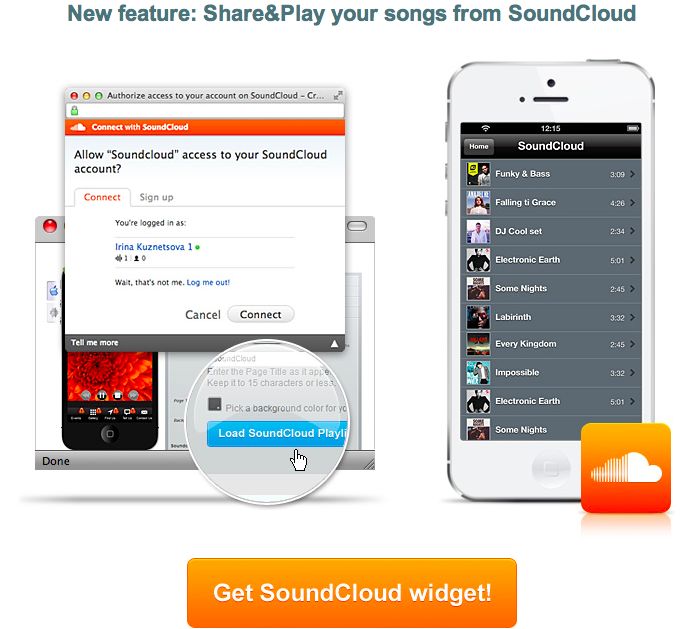 There are many SoundCloud Converters you can use to play your audio in mp3. Our app building service is the most reliable if you want to play your mp3 or Soundcloud in mobile apps. You can convert your video/audio to mp3 with any converter and downloader on the internet.